We are located near local attractions such as St Francis County Museum, Village Creek State Park, and University of Arkansas. 24 Hour Reception, Vending Machines, Restaurants Nearby, Pet Friendly Hotel. Start your day off right with our Complimentary Continental Breakfast. Fridge, Microwave, Air Conditioning, Comfortable Beds. Flat Screen TV with HBO and ESPN. Americas Best Value Inn Forrest City offers the most value for your money when staying for business, pleasure, or just passing through. We offer clean spacious rooms, a 24-hour front desk, free continental breakfast, and Wi-Fi throughout the property. All guest rooms include microwaves, mini-fridges, hairdryers, satellite TV, HBO, and ESPN. Take advantage of our extremely comfortable beds and relax while saving money year-round with our Kids Stay Free Policy (12 and under in parent's room). For those guests that are in town on longer term corporate assignments or business trips we also offer special weekly and monthly rates, as well as direct billing options. For your convenience our hotel offers both smoking and non-smoking rooms. Pets are welcome, restrictions and charges apply. We are located near local attractions such as St Francis County Museum, Village Creek State Park, and University of Arkansas. We are conveniently located on Barrow Hill Road at N. Washington Street, I-40 Exit 21A-B. Americas Best Value Inn Forrest City is your best choice within the northeast region of Arkansas. We offer ideal accommodations and location whether you are in town for camping, sightseeing, music festivals, or simply passing through. At Americas Best Value Inn Forrest City our goal is to provide our guests a great experience, not just a place to stay. 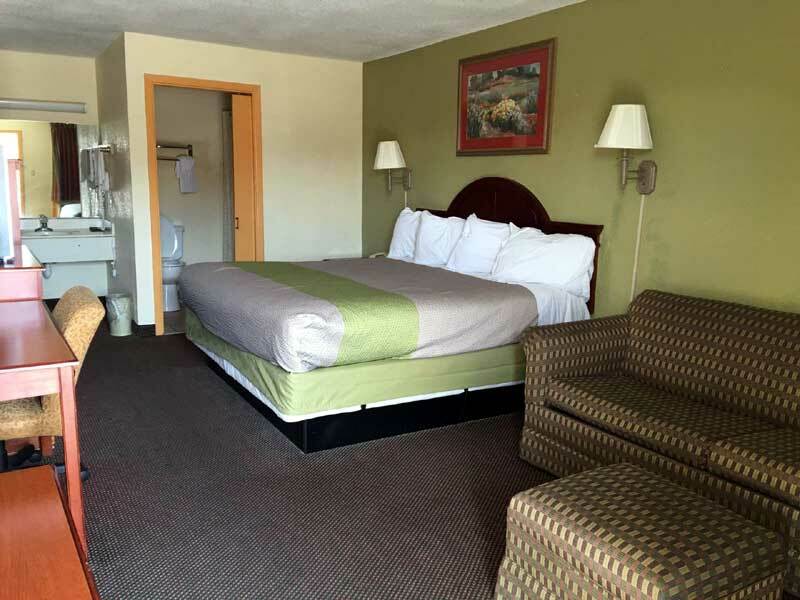 At Americas Best Value Inn Forrest City, We've Got You Covered from the time you hit the road until your head hits the pillow. Activities : Recreational opportunities are superb. Our area boasts a couple of the hottest fishing lakes in Arkansas. Plus, Village Creek State Park, Arkansas' largest, is only a 15 minute drive along Highway 284. On the one hand, there is a friendly small town atmosphere and a low cost of living you will find easy on your budget. On the other hand, the locale offers easy access larger cities nearby such as Memphis, Tennessee and Little Rock, Arkansas. Attractions : There are numerous attractions that make Arkansas a must see vacation and weekend getaway destination . Visitors can get a break from small-town life in order to pursue big-city pleasures, Memphis is less than an hour away with fine dining, opera, symphony, live theater, Blues on Beale Street, museums, art galleries, and a zoo. Southland Greyhound Park in West Memphis offers daily races, and several casinos are located on the Mississippi River just south of Memphis in Tunica, Mississippi. Dining : Whether you are in the mood for fast food, deli sandwiches or steaks and seafood, Forrest City has ample dining options available to satisfy your appetite. Golf : We have two beautiful country clubs that offer golf, swimming, tennis, and other activities. Both clubs accept reciprocating memberships. They are the Forrest City Country Club (870) 633-3380 and Ridgecrest Country Club (870) 633-9863. Government : Forrest City has a Mayor/Council form of government. Two Council Members are elected by the voters of each of the four wards of the city. Each member is elected to serve a four year term. Regular meetings ot the City Council are held at the City Hall on the 1st and 3rd Tuesdays of each month at 6:00 PM. These meetings are open to the public. Hospitals : We're eagerly awaiting your arrival. Forrest City Medical Center's labor and delivery department is fully equipped to make your delivery experience a happy, healthy one. From our highly trained obstetrics team to our comfortable environment and caring staff, we're here to help you prepare for labor, delivery, and your postpartum experience, all close to home. Shopping : Shopping venues include discount stores and smaller upscale shops. Many Forest City towns have boutiques, quaint stores and some interesting offbeat places. Huge spring and fall crafts fairs , along with smaller ones during the year, offer the finest in handmade objects. University : General education courses at East Arkansas Community College enhance academic skills, reasoning capabilities, and general knowledge required for continued learning and advancement in students' professional and personal lives. Students will demonstrate increased proficiency in communication, critical thinking, personal and global awareness, academic proficiency, and professional development. Welcome to our great hotel in Forrest City Arkansas with affordable rates and cheap budget discount lodging. Americas Best Value Inn welcomes you to our budget hotel in Forrest City Arkansas. Americas Best Value Inn will provide you excellent customer service with great amenities in comparison to all Hotels and Motels in Forrest City Arkansas. Please visit us on your next stay in Forrest City Arkansas and let us provide you with 4 star hospitality for 2 to 3 star budget rates. Americas Best Value Inn has been providing lodging and accommodations in Forrest City Arkansas for sevral years and looks forward to providing our valued customer and business traveler with the best service in Forrest City Arkansas for Hotels and Motels in our local area.